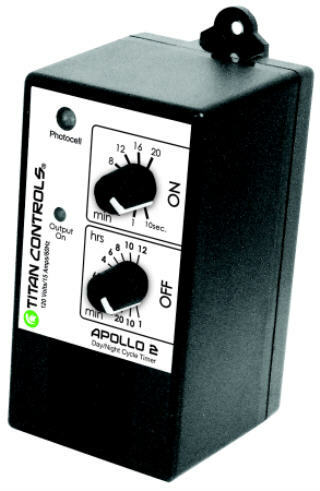 Titan Controls TITAN CONTROLS HADES 1 LIGHTING DELAY TIMER (702690) SEEDS ETC. The Hades 1 is easy to use. 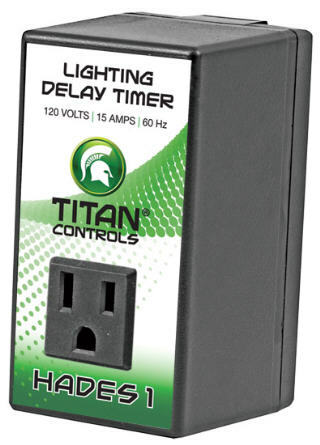 Just plug the 120 Volt relay trigger cord from your lighting controller into the Hades 1 and you're protected. The Hades 1 provides protection for your lights should your power go out by activating a 15 minute delay before 're-striking' your lights. 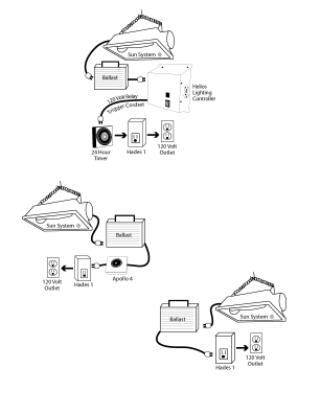 This keeps your HID light bulbs from 'hot starting'. It’s a low cost security system for your lamps that gives you the peace of mind you’re looking for with your lighting system.